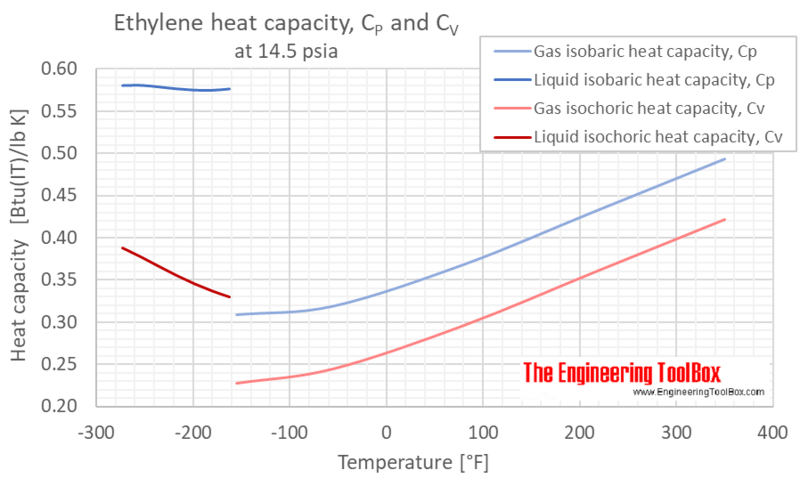 The specific heat - CP and CV - will vary with temperature. 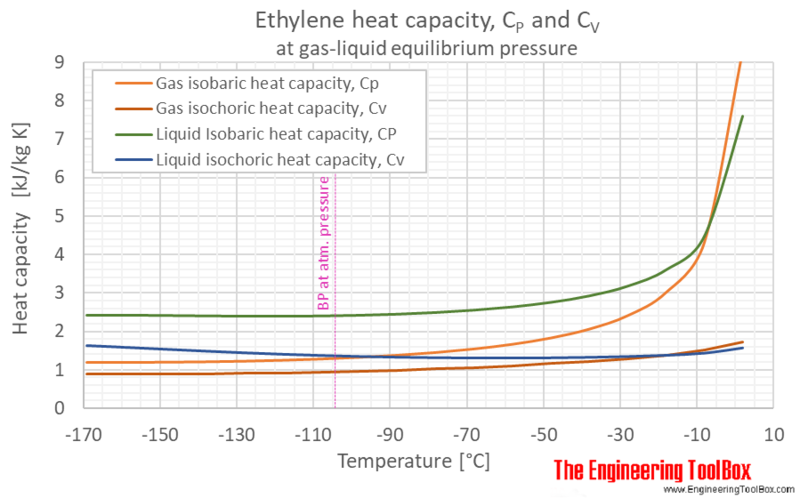 When calculating mass and volume flow of a substance in heated or cooled systems with high accuracy - the specific heat (= heat capacity) should be corrected according values in the figures and the table below. as well as Specific heat (Heat capacity) of Air - at Constant Pressure and Varying Temperature, Air - at Constant Temperature and Varying Pressure, Ammonia, Butane, Carbon dioxide, Carbon monoxide, Ethane, Ethanol, Hydrogen, Methane, Methanol, Nitrogen, Oxygen, Propane and Water. Engineering ToolBox, (2005). 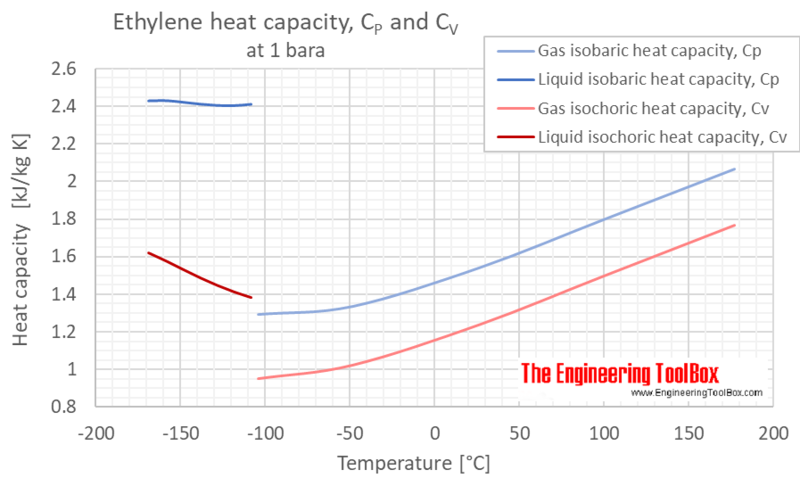 Ethylene Gas - Specific Heat. [online] Available at: https://www.engineeringtoolbox.com/ethylene-d_981.html [Accessed Day Mo. Year].